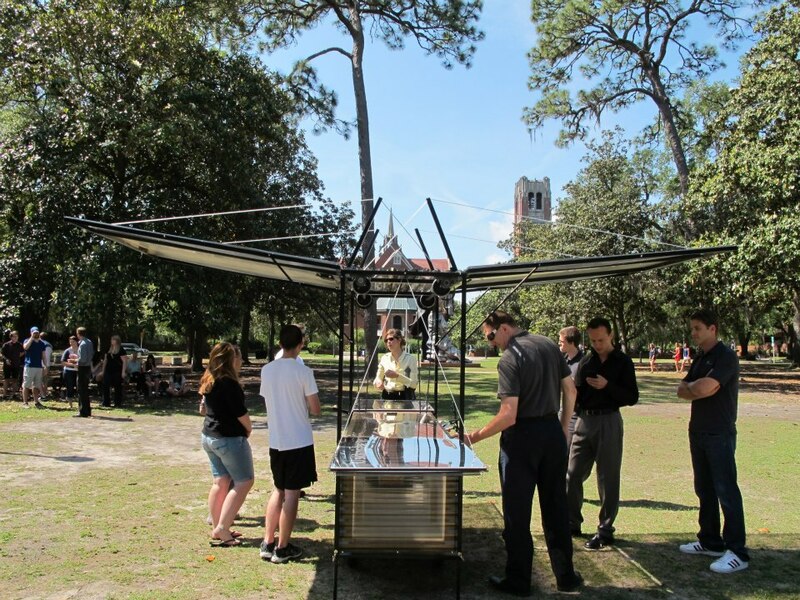 Students call students to action in sustainable living with Sustainability Hut By: Sally Greider, English and public relations sophomore There is a mean, green, sustainability machine roaming around the University of Florida, educating the campus community on environmental issues. The Sustainability Hut, a student-run environmental outreach program at UF, is planning activities to help students learn how to make a difference in sustainable living for Earth Day. The hut provides a way to inform UF’s community about issues and help students make a difference for the environment in small ways every day, Vitt said. The Office of Sustainability is holding a campus Earth Day on Arpil 8, Vitt said. The program will host presentations, awards and speeches discussing the importance of environmental issues. Claudia Menasce, an environmental studies senior, is involved in planning the huts activities on Earth Day. Menasce started interning at the hut a year ago, because she has always wanted to help educate others about the environment.